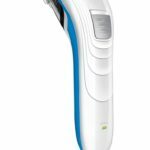 Another success by Philips, the AT600/15 is an amazing shaver belonging to the AquaTouch Wet & Dry family of electric shaving devices for men. 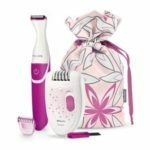 Convenience, style and features; this shaver has it all. 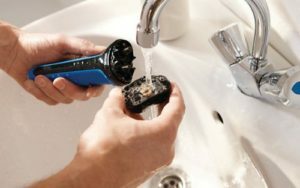 Although, all AquaTouch shavers are very similar to each other in terms of operation; slight variation in features is found along with price difference. In the box, you will find the device along with a cleaning brush, a charger and a warranty card. The AT600/15 has all features exactly similar to the AT610/14 and AT620/14, the only difference being that the AT620/14 has a lacquered front shell finishing instead of plain plastic. The head of this device must be replaced once every two years with HQ56 only. 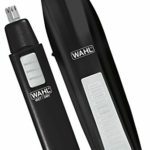 The superior AquaTec Wet & Dry technology along with the CloseCut head, renders this shaver capable of giving the best performance. Shaving is fast & easy and making it a daily affair won’t be a problem at all, once you are well-acquainted with the operation of this shaver. 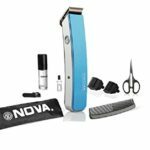 The anti-slip grip on the body of this shaver enables easy manoeuvring. You can plug in this shaver to a wall socket and use it every day without the hassle of charging & recharging. Corded use does no damage either to the equipment or to skin. 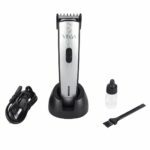 The internal battery can be charged for a total duration of 10 hours which enables the shaver up to 35 minutes of cord less use. 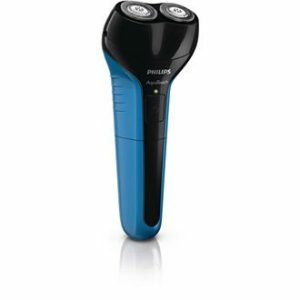 Electric shavers, especially the AquaTouch shavers from Philips are best suited for travelling. Total value for money with 3 years of warranty. 100% waterproof, easy charging, no maintenance. Charging time is bit long,but same is the issue with majority of trimmers. Must be cleaned after every shave, or else bad smell emanates from the device. Cleaning the shaver head takes very long since there are tiny parts and spaces where hair tends to get stuck. Works best only on small beards. 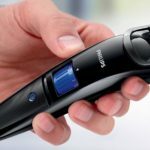 On a full charge, this device will give you 10 superb shaves. 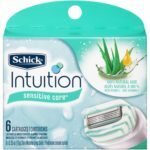 The wet shave is very refreshing and dry shave is easy and smooth. 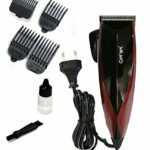 Its highly ergonomic design gives the user full control over the device, as well as high precision to get rid of tough hair. 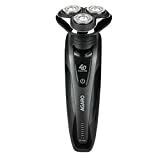 The price of this shaver is mid-range but is full value for money. 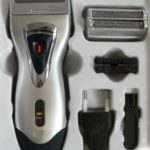 This is best suited for first-time shavers as well as people new to the electric-shaving arena, looking to switch from manual razors. 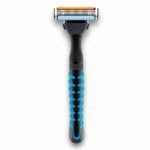 The blades of the shaver are covered with a cap that only allow hair to pass through them and not skin. 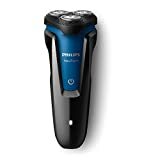 Philips is a brand you can trust with closed eyes and the AT600/15 is a shaver that delivers exactly what it promises to. The shaving head has 2 different paths to allow hair to enter, thus effectively trimming long, short as well as medium-length hair. Shaving is no longer a never-ending, tedious task reserved for hours in the bathroom. Technology combined with innovation has resulted in brilliant electric tools that will get the job done faster than the speed of light. Not literally, of course! Share the joy of a smooth & fast shave by gifting your friends or family, the Philips AT600/15 wet & dry electric shaver and they will forever be grateful to you for making their life easier.